“Oscar blunder duo given bodyguards after ‘death threats.’” So reads this morning’s BBC news page. 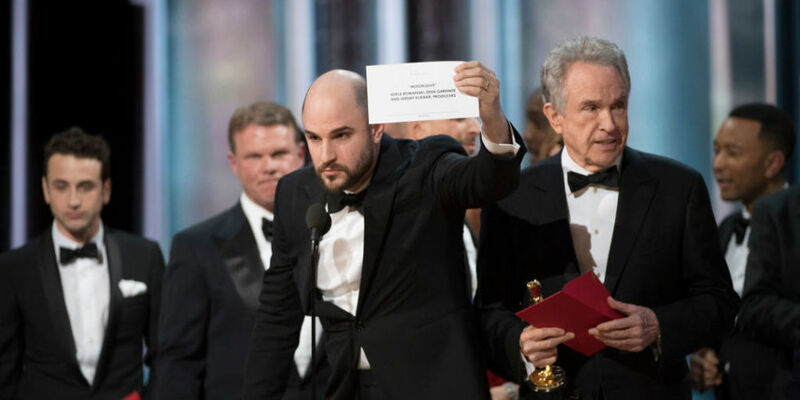 I have every sympathy for PwC accountants, Brian Cullinan and Martha Ruiz, who continue to endure the full glare of global scrutiny just for handing the wrong envelope to Warren Beatty. And now their very lives are in danger! Hardly accountancy as we know it. Clearly accountancy in Hollywood is very, very different. Very exciting. And dangerous too. But why the hype? Here we are five days later and this story is not going away. After all, no crime was committed. No one was killed, not even a sprained ankle in falling off the stage. It wasn’t as if the wrong envelope had been handed to some insignificant and bewildered production team who just happened to be passing by. (That sounds like a good idea for a screenplay). No it was the team responsible for La La Land who found themselves in the unfortunate position of having to step aside. And they had already garnered a host of awards. They could take it. No what made this particular mishap so arresting is that it was so incredibly toe-crunchingly embarrassing. In other words if you are going to make a fool of yourself don’t do it in front of 10% of the world’s population. For the one thing we all fear is making a fool of ourselves, which in my job is an occupational hazard. Without exception we will all go to great lengths to avoid embarrassment. We would rather have our teeth extracted without anaesthetic rather than being made to look foolish in public. At this point I will have to leave you. Morning prayer in church and I don’t want to walk in half way. So embarrassing. As it happens our Bible passage for today was Jesus meeting with the Samaritan women at Jacob’s well, from John 4. John tells us that it is noon – and yet this woman turns up to draw water. Clearly she wants to avoid contact with other women. Her fear of embarrassment means she is prepared to endure even the full heat of the day. But she meets Jesus, who is too tired to keep up with his disciples. To say the least this was going to be a very socially awkward encounter. However, Jesus seems totally unaware of the usual social protocols. He asks her for a drink. He – a male Jew and rabbi – defers to her. A woman, a Samaritan, an adulteress. Jesus seems unembarrassed. Even his disciples, when they return, are surprised that he should break social convention by giving this woman his full attention. She is transformed and so John tells us in a very matter-of -act way “Then, leaving her water jar, the woman went back to the town and said to the people, ‘Come, see a man who told me everything I’ve ever done.’” (John 4:28). Such is her encounter with Jesus that she actually seeks people out to tell them about him. Embarrassment? What embarrassment? For the one thing which stops us from sharing Jesus is our embarrassment. Strange really, given that as the Samaritan women discovered, he is the one person who can break down the barriers and welcome us into relationship with God. The breakthrough happens, as my evangelist friend Peter observed, is when we decide that what people think about Jesus is more important than what they think about us. Previous PostPrevious In the Kingdom of God things are different. 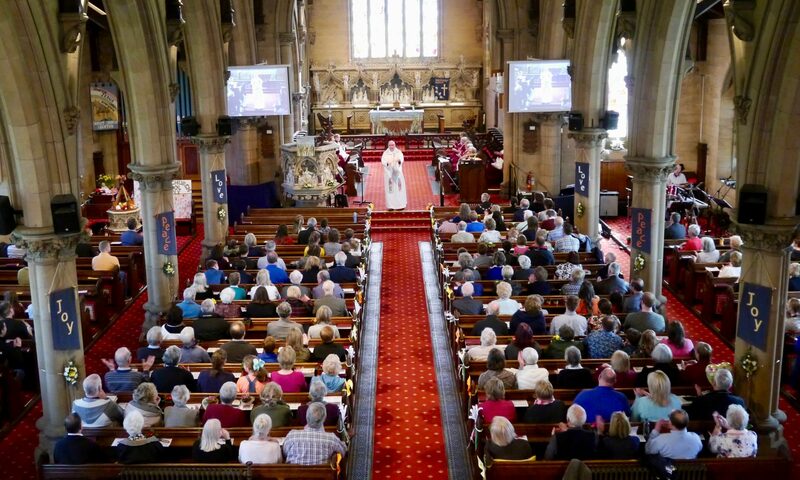 Next PostNext The building of Christ Church – opportunity, risk and perseverance.